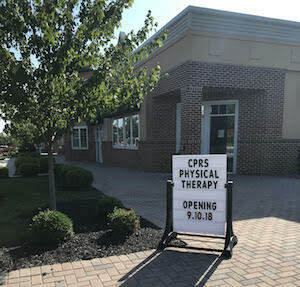 CPRS is proud to announce that it opened its 28th location in Lititz on September 10, 2018. We are so excited to move back into the Lititz Community and start seeing patients. We will offer a variety of services including Physical Therapy, Wellness, Women's Health/Pelvic Floor, Occupational Health, and Sports Rehab, as well as a full line of Pediatric Services with Physical Therapy, Occupational Therapy, and Speech Therapy. The new office location will be at Brighton Village Shoppes: 1170 Erbs Quarry Road, Suite 1, Lititz, PA 17543. Phone: (717) 537-9131 | Fax: (717) 803-4038.